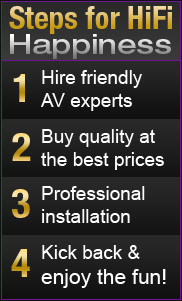 If you are going to buy a new audio system for your home, wouldn't it be nice to ask an expert what they would buy. Not because a sales manager told their employees to push a closeout item, but really got to know your tastes and desires. 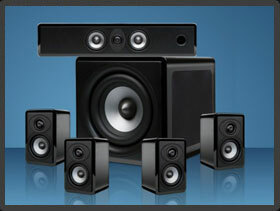 What about offering you huge savings on really great speakers, receivers and amps? Look no further than the pros at Colorado Hi-Fi. We not only offer great audio components from the leading speciality manufacturers, but we install everything and hook it up so you don't have to mess around with anything. Anyone can install audio, just not as well as Colorado Hi-Fi. Our home audio installation is designed to complement your living room, custom home theater, workout area, kitchen, basement. Whether the new surround sound speakers are set inside a wall, high along the ceilings, or lower to the floor, your system will look and sound amazing. If you are a "do-it-yourself" kind of person that knows all the ins and outs of home audio, than we are likely not a great fit for your needs. But if you want hassle-free installations, with the best equipment your hard earned money can buy with a true expert that can help you before, during and after your setup, Colorado Hi-Fi is the only call you need to make for audio listening bliss. Buying a new HD TV is a big decision. Get an expert opinion and great deals on high definition screens from national sources the retail stores don't want you to know about, all from Colorado Hi-Fi. Installing and mounting a new Plasma, 3D, LED or LCD flat panel high definition TV set to a wall can be a tough challenge. Whether you are looking for a swivel mount or just want to secure it firmly without tearing up your walls, the Colorado Hi-FI is the HD TV installer of choice in the Denver metro area. 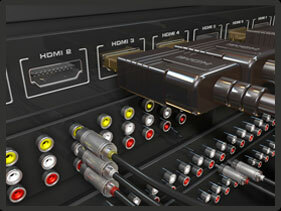 Just as we test and configure the audio, we test and adjust all the settings on the HDTV to work perfectly for your room's unique lighting conditions. We adjust to your color preferences and how bright you want the screen. Colorado Hi-Fi gives you that perfect video screen you've wanted for so long. 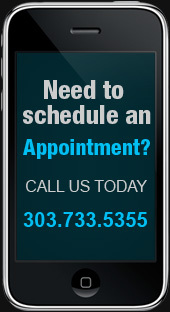 Give us a call (303-733-5355) or contact us for a free consultation.